When I go to a sports store for new stuff, I often get overwhelmed by all the choices. And sometimes I end up buying the wrong thing. Or walking out with less than the best quality item. So, to keep you from facing the same problem, here are my top 4 favorite things to grab at a sports store. When I go out and run, I rarely go on the road or a track. I prefer to run in the wild! Trail running, for me, is way more relaxing then running around a track. I feel like I am going somewhere and getting back to nature at the same time. But normal running shoes may not give you the right support on trails. 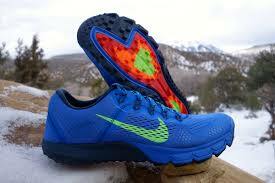 I recommend picking up a pair of Nike zoom Terra Kiger trail shoes. They will give you great traction and flex so you don’t slip and fall on uneven ground. So, when I work out, nothing is worse then getting overheated because I am wearing an old cotton shirt that doesn’t breath. Thank goodness for the invention of Under Armour compression shirts. These shirts stay close so they aren’t flapping in the wind. Also, they wick sweat away from the body so you can continue to stay cool and fresh throughout your workout. 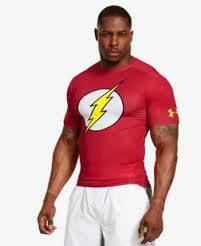 Oh and did I mention that Under Armour has a whole line of super hero compression shirts available. Now you can feel like the Flash as you run the trails! 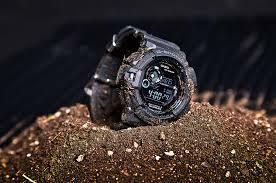 When I go into a sports store, I always end up at the counter looking at all the crazy watches and wondering if any of the claims they make are true. After years of wondering, I gave in and bought one. I went with a G Shock watch by Casio. And let me tell you… it is an awesome watch. I have taken it in the ocean while crabbing and into the river while swimming and even into the pool. I have banged it and bumped it and I have had no problem with it at all. After all that, it still looks new, it is the most durable watch I’ve ever owned. As always, no list on outdoor sports equipment can be complete without some music to spice it up. 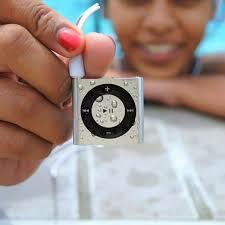 My choice for a music player will always be an Underwater Audio iPod Shuffle. I can take it anywhere! No matter what the weather or terrain, I can rock out to my favorite music. Like I said before, it can be hard to find the right stuff when you go to a sports shop. But if you use this list as a guide, you won’t be disappointed. And nothing will slow you down! If you have any other suggestions please leave them in the comment section below.